American snowboarding legend Shaun White has pulled out of Thursday's Olympic slopestyle event. And he did it with all the savvy of a veteran operator. During a general press conference before a large group of international media Wednesday, White reportedly said nothing about not competing in Thursday's event. He saved that bit of exclusive news for NBC's Today Show. Nicely done. When you're a 27-year-old snowboarder in your third Olympics, you have to start paving the way for a second career. I'm sorry if I offence anybody. I just meant that it's not as fun to compete at the Olympics when the riders underlights aren't there. Teammate Sébastien Toutant got his two cents' worth in as well. While the "Mr. White" might be a very québécois type of expression, it's also a 21-year-old calling out a grizzled veteran of 27. Toutant also later deleted his Tweet. We'll see if those two Krazy Kebecers have the nerve to say it to White's face, though. Everyone's a maverick cowboy on the Internet. The American wasn't a favorite in that event. He said he'll focus on the halfpipe, where he is the two-time Olympic defending champion. 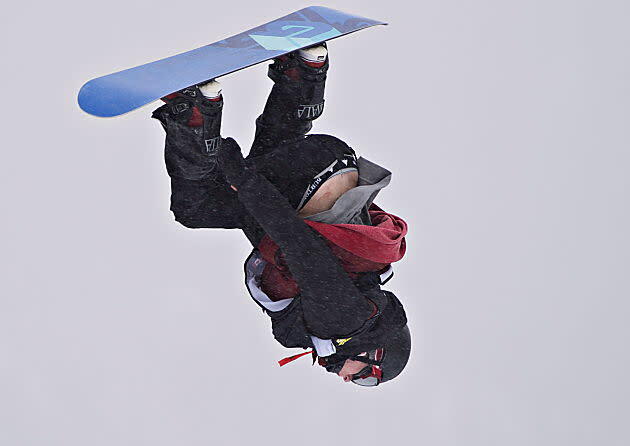 Slopestyle is a new event, so it's uncharted territory for all the snowboarders. If the confident talk from the Canadians is any indication, that means the White aura doesn't loom as largely over that event as it does the halfpipe. Montrealer Sébastian Toutant said he saw White, and he's not afraid of White. “Yeah, I’ve seen everyone. I mean, I’m not more afraid of Shaun than anyone else," Toutant told the Globe and Mail. White jammed his left wrist during practice on the slopestyle course Tuesday although, unlike many of his competitors, he wasn't overly critical of the course. Officials have been scrambling to address concerns, with the event up on Thursday. Torstein Horgmo of Norway broke his collarbone in a practice spill and is out. Officials are tweaking the course in a major way, The kickers supposedly have too much air, and the safety rails don't soften the blow nearly enough. "The potential risk of injury is a bit too much for me to gamble my other Olympic goals on," White said in a statement. Presumably, Parrot is willing to take the risk. The fact that he just won slopestyle gold at the X Games probably helps. 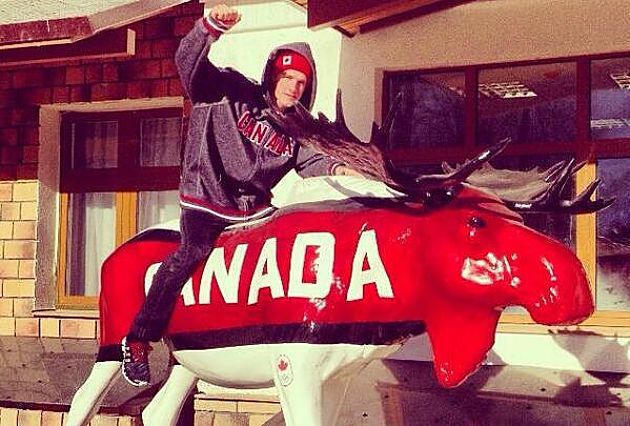 Another gold-medal favorite, teammate Mark McMorris, who fractured a rib at the X Games Jan. 25 when he had a collision with a safety rail – they're calling him "McRib" on Twitter – says he's still on board to compete.